Next chapter delves deep into the crux of finding out meaning or decoding the meanings hidden in any conversation. It basically tells us how to take the cues from the conversation – the author has given very apt examples in a table. If you can understand the vocabulary in a right sense, well you can decipher the exact meaning arriving from a particular conversation. As you might have seen that some people are so naive to find any meaning, on the other hand there are people who mistake the meaning of words which further leads to miscommunication or misunderstanding. Therefore to avoid miscommunication and misunderstanding, one should be able to take the proper meaning and emphasis off the words. 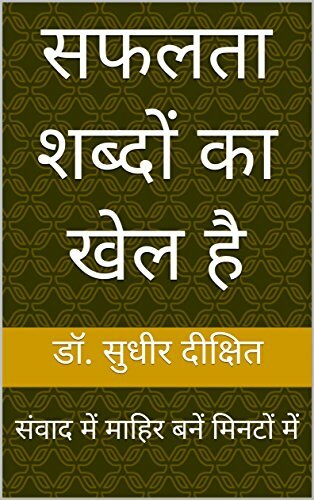 This book is written in Hindi, however its essence and relevant is not going to fade away even if you finish reading this book in one sitting. From basic principles to 8 important formulas and everything in between that matter for honing the level of communication are all here. 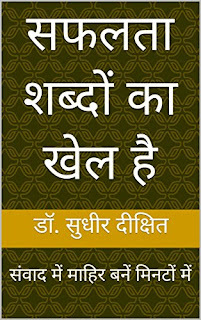 You must pay special attention to the last chapter, ‘Samvad Kaushal Ke Aath Sutra’ – which means 8 formulas for excellent communication skills. This chapter has been further segmented into 8 sub-topics. Another aspect that makes this book stand out from others is the kind of examples given in the context to make the topic easy to grasp, for instance you will find engaging examples from Sherlock Homes’ series and Bollywood. Without giving away much, we can conclude that this is a very helpful book for the people struggling to gain command over oratory or communication skills, you will learn a lot from this book. We are sure if the same book is translated into English, it will grab the attention of the worldwide audience.